A Diamond Select Toys Release! 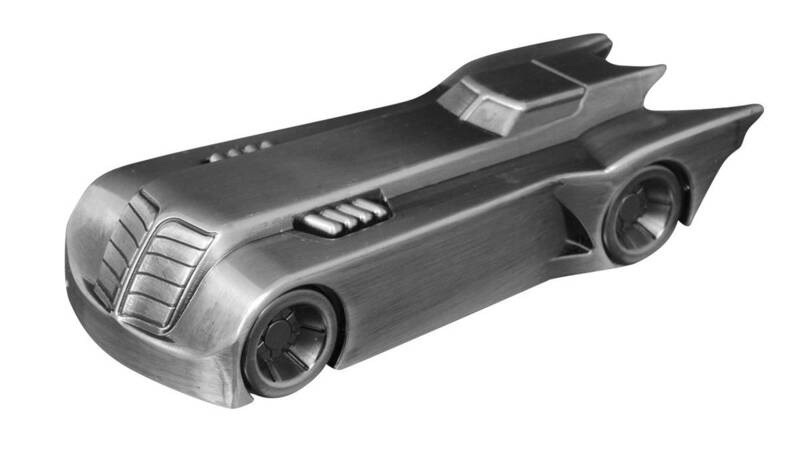 One of the most iconic redesigns to come out of Batman: The Animated Series was Batman's sleek, elongated Batmobile, and now you can hold it in the palm of your hand! This approximately 4' long metal bottle opener is based on its appearance in the timeless 1990s cartoon, and it has magnets in the tires to keep it on your refrigerator or Bat-armory when not in use. Packaged in a full-color slipcase..